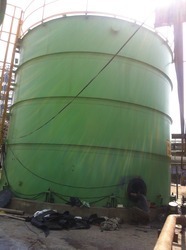 We are manufacturing of DM Plant Tank and Equipment. We are offering Water Storage Tanks. 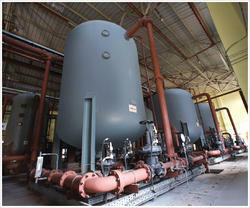 We manufacture and export a large collection of Water Storage Tanks using latest technology. These are constructed using quality approved materials in compliance with the defined quality standards. We are engaged in presenting to the industry a top class range of Industrial Storage Tank. We offer these at market leading rates. Being quality centric firm in the market, we are engaged in tendering best array of Industrial Water Tanks at lowest rates. Backed with huge industry experience and market understanding, we are involved in trading a wide variety of Industrial Water Tank for our valued patrons. Being a leader in the industry, we are engaged in offering a qualitative range of Industrial Water Storage Tank to our customers. We are offering a wide assortment of industrial water storage tank, which is made in accordance to clients' requirements using world class raw materials and latest machinery. The tanks we deliver finds its wide usage in both domestic & commercial consumers. We are into the business of manufacturing a wide range of quality products that are made using high grade raw material.